Welcome to the Tolleson Union High School Counseling Department page. We would like to introduce you to the counseling program available to students, parents, and staff. The counselors’ mission is to reach all students. We address students' needs in three main areas: Academic, Career/Post-Graduate, and Personal/Social. Students first meet counselors during pre-registration activities in 8th grade and will continue to meet with counselors each year for assistance as they make their way through their high school experience. Students can make appointments as needed to see a counselor before or after school and during lunch. Parents can also make appointments. The staff is committed to the students and the academic excellence of the school and is looking forward to working with all parents and students this year. 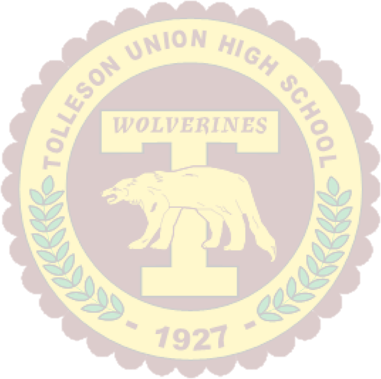 At Tolleson, we encourage parents and students to communicate with teachers, counselors, and administrators with questions, concerns, and good news regarding your student. Open communication is a vital component for successful and positive school experiences. Please feel free to contact the counseling office for any and all concerns that you might have!